And making it even more difficult is the dizzying array of cleaners on the market today. Some don’t even work while others cost an arm and leg to purchase. 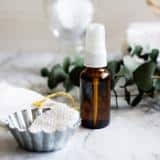 Without investing huge amounts into store-bought cleaners that may or may not do the job as intended – there is an easier way to clean your home! 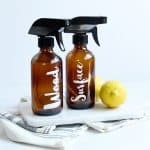 It’s amazing what you can do with DIY natural cleaning products. Did you know you can clean virtually anything, using the very ingredients you already have in your home? 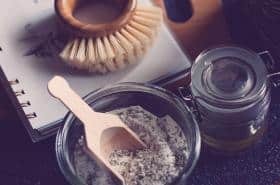 Making a few DIY natural cleaning products truly helps to simplify this laborious chore. Instead of digging under the cupboards for multitude of cleaners cut it down to a handful or less. You’ll find that these DIY cleaning recipes are not only for multiple tasks but quick and affordable to make. Each cleaning recipes mentioned only requires four ingredients or less making them super simple to make! Give your windows and mirrors a sparkling shine with this DIY glass cleaner. Made from four simple to find ingredients, this glass cleaner not only works but has a minimal cost to put together. This glass cleaner smells amazing and cleans as good as any other glass cleaners you would buy. Using a funnel fill a large glass spray bottle with 2 cups distilled water, ½ cup white vinegar, and ¼ cup rubbing alcohol. Remove the funnel and add 2 drops of sweet orange essential oil. Place the nozzle on the bottle and while closed shake to combine. Once you’ve combined all the ingredients in a spray bottle, get ready to go to work. Spray the glass cleaner on a cloth first, such as a microfiber cloth. Then apply the cleaner on the cloth to a glass surface and wipe away! Here’s a true to fact DIY all purpose cleaner that you can use on virtually any surface. It has a lovely scent and will clean deep down, to give your home a clean and fresh appearance. 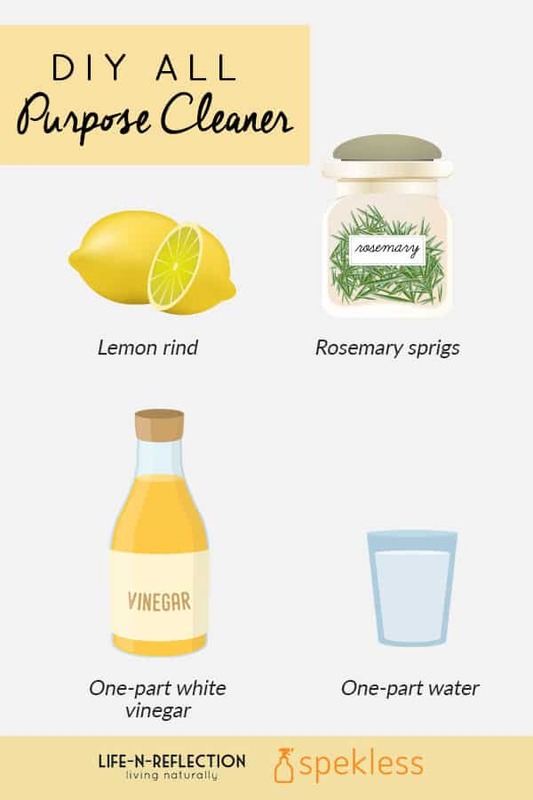 Add one lemon rind and few sprigs of rosemary to a spray bottle. Using a funnel pour one part white vinegar and one part distilled into the spray bottle. 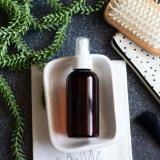 Place the nozzle on the bottle of DIY all purpose cleaner and allow to infuse for at least a week (well worth the effort). 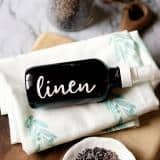 Use this great smelling DIY all purpose cleaner to freshen laundry, remove carpet spots, clean your kitchen or bathroom. It is the ideal cleaner for spots and stains, and you’ll love how it smells like lemon-rosemary! 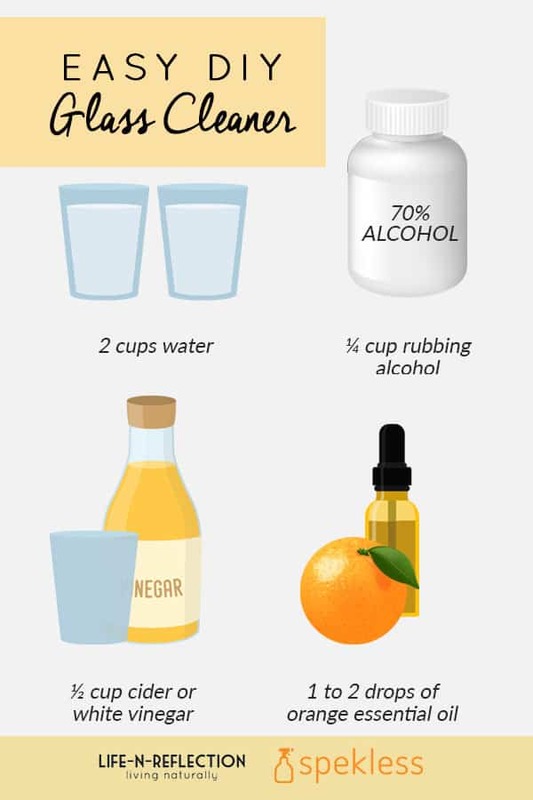 Here’s a natural cleaning recipe that really works wonders! This DIY grout cleaner gets those stubborn stains on grout out without having to scrub until your fingers bleed. 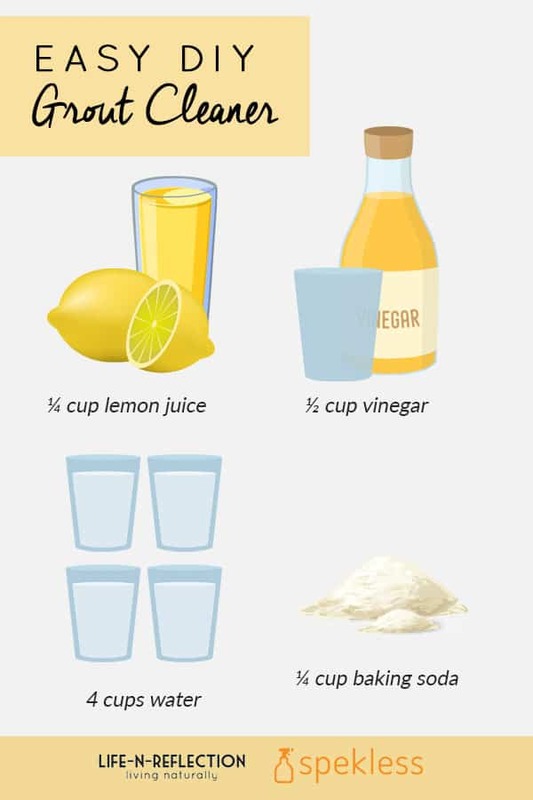 Fill a large spray bottle with ¼ cup lemon juice, ¼ cup baking soda, and ½ cup white vinegar using a funnel. Place the nozzle on the bottle and shake well to combine. Remove the nozzle and fill with 4 cups of distilled water. Return the nozzle and shake once more to combine. (You want to divide the recipe for a use in a standard size spray bottle). Spray your homemade grout cleaner onto tile and grout in your home. Let the solution sit for approximately five minutes. Use a scrubber or sponge to remove the dirt that has built up on your grout. Rinse with water when complete. The results will be sparkling clean grout and tile that looks like the day it was installed! Even your clothes can be washed with a simple four ingredient DIY cleaning recipe! 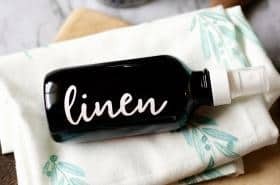 This DIY laundry detergent doubles as a stain remover. Stubborn stains can be lifted in an instant using this natural cleaner, leaving your clothes fresh and clean. 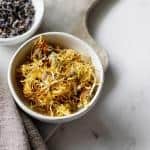 Combine all the ingredients into a food processor. Mix until completely combined. 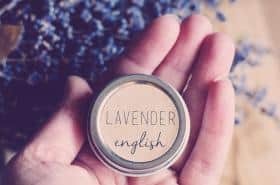 Store in an airtight container such as a mason jar. Add approximately 1 to 2 tablespoons per a load of laundry. Wash as you normal and your clothes will come out fresh and clean. 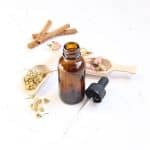 For fragrance add a few drops of essential oil to the mixture before you store it. 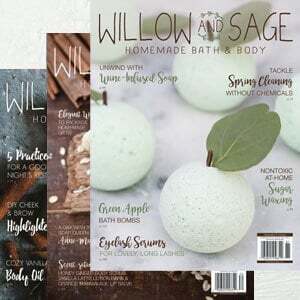 This is a recipe that will surely save you some money while being a natural alternative to harsh laundry soaps. 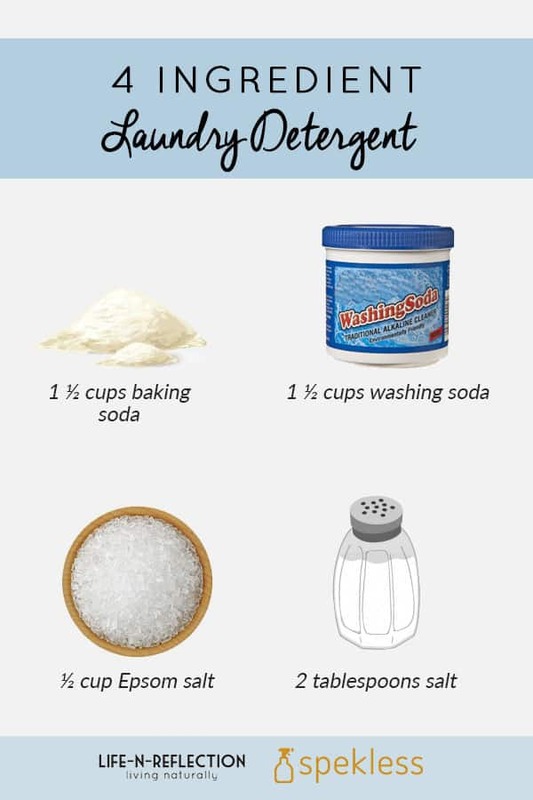 For liquid option check out this recipe for natural liquid laundry detergent. This article is written by Anita Edwards a professional writer and editor. 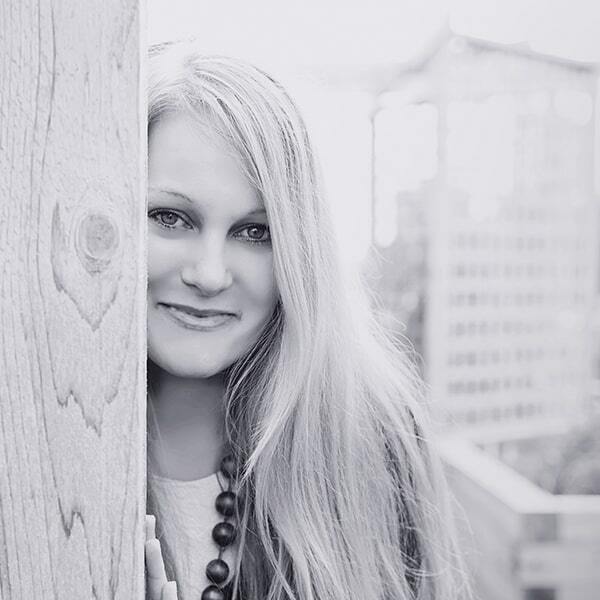 She works as blog editor at Spekless, where she shares her own and her colleagues’ tips for cleaning. In her free time, she enjoys cooking and going on day trips with her children. Keep reading for 5 more genius household cleaning hacks! Happy to hear, I’ve been using it for a few years and it never fails me too!